More than 50 years ago, Minerva Mirabal threatened to "take the arms out of the grave" and "be stronger" in the face of the imminent threat of Rafael Leónidas Trujillo's regime in the Dominican Republic. Few people know that this is one of the origins of the battle against gender violence. Minerva's body - along with that of her two sisters - appeared on November 25, 1960, smashed inside a vehicle, at the bottom of a ravine, and their surname has become a "world symbol of the struggle of women", as the BBC well remembers. November 25 was declared as the International Day to Eliminate Violence against Women by the UN, recalling the struggle of that woman, lawyer and activist, who was not only one of the first to obtain the title of Doctor of Law during the dictatorship, but led the Revolutionary Movement June 14. Many would believe that it was her firm militancy against Trujillo's regime or her activism for freedom what led to her murder, but what really happened was that the dictator became obsessed with the young woman and her rejection was too much for the "most powerful man on the island". Since then the entire Mirabal family was subjected to the most rigorous espionage that culminated in the imprisonment of several of them due to Minerva's relationship with the movement of the communist dissident Pericles Franco. 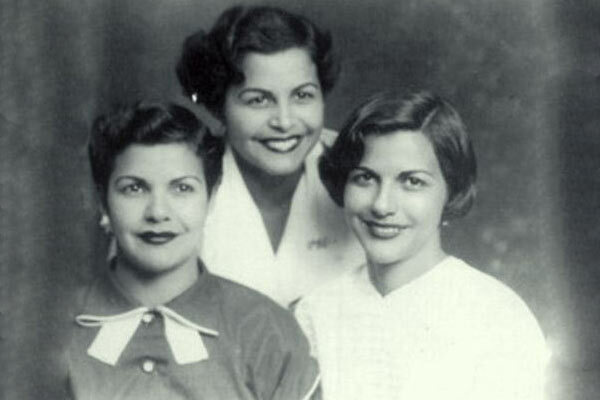 The death of her father after his imprisonment and the strong repression ordered by Trujillo were not enough to break the spirit of the Mirabal sisters; on the contrary, they dedicated themselves to the militancy and opposition that led them to death. "Las Mariposas" - as the Mirabal sisters were known - then became a symbol of struggle. The director of the Memorial Museum of the Dominican Resistance, Luisa de Peña Díaz, explained to the BBC that "kidnapping three women, killing them with sticks and throwing them down a ravine" had been the "straw that broke the camel's back". Since 1981, November 25 became the day that marks the struggle of women against violence, after the first Feminist Meeting of Latin America and the Caribbean was held in Bogotá, Colombia. According to the United Nations website, violence against women and girls is currently "one of the most widespread, persistent and devastating violations of human rights in the world." This type of violence is "the most extreme form of discrimination", and according to the report of the organization - consulting 87 countries and with data collected between 2005 and 2016 - 19% of women between 15 and 49 years of age have experienced physical or sexual violence (or both) in the hands of their partner in the 12 months prior to being asked about the matter. Likewise, in 2012 almost half of the women victims of an intentional homicide worldwide "were murdered by their partner or a relative", compared to 6% of men. Another of the most important features of violence against women is the "ablation" or traditional practice involving female mutilation. Although since 2000 this practice has decreased by 24%, the prevalence "remains high" in 30 countries where "more than 1 in 3 girls between the ages of 15 and 19" would have been mutilated. And violence is not only physical. Only half of women between 15 and 49 years of age (52%) who are married or living as a couple make their own decisions regarding consensual sexual relations - including the use of contraceptives or the right to access health services. The Violence against Women in Latin America and the Caribbean Report of the Pan American Health Organization has confirmed these data, showing that between 17 and 53% of the women interviewed reported having suffered physical or sexual violence on the part of their partners. The data were collected in interviews with more than 180,000 women in 12 countries in Latin America and the Caribbean. In the United States, the numbers are not very different. According to the National Organization for Women (NOW), in 2005 1,181 women were killed by their partner, which equals three women per day. In cases where the violence doesn’t end up in murder, abusive intimate behaviors are suffered by approximately 4.8 million women per year, of whom less than 20% seek medical treatment after being mistreated, according to the National Center for Injury Prevention and Control. In the same way, and according to the National Crime Victimization Survey 232,960 women in the United States were raped or sexually assaulted in 2006, equivalent to more than 600 women per day. These data are inconsistent considering the high rate of cases in which women don’t report the crimes of which they are victims. Given the new phenomenon of female empowerment worldwide - originated by the well-known Weinstein effect - speaking, denouncing and preventing cases of gender violence is not only an emergency, but a social tsunami that has no turning back. 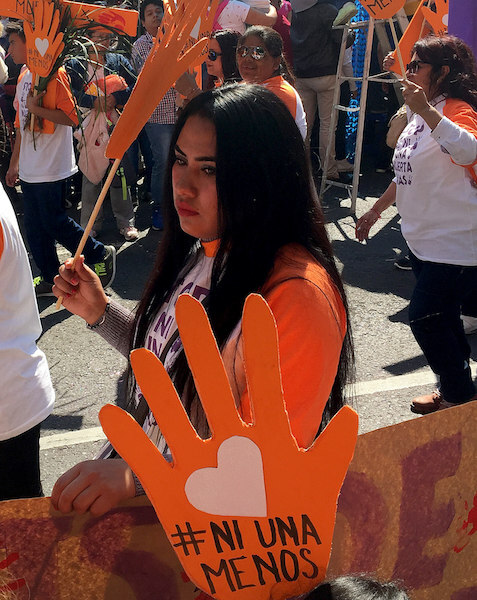 Among local and national organizations to combat this pandemic, the United Nations invites the UNITE campaign, Pinta el Mundo de Naranja; a 16-day movement of activism against gender violence originated in 1991 by the Women's Global Leadership Institute. This year, the campaign will celebrate the 16 days from the slogan "Let us stop the violence against women and girls." You should only share your photos, messages and videos showing "how to orange the world" through Facebook and Twitter with the hashtags #orangetheworld and # 16days. In the face of violence and impunity: dress in orange and don’t stay behind.